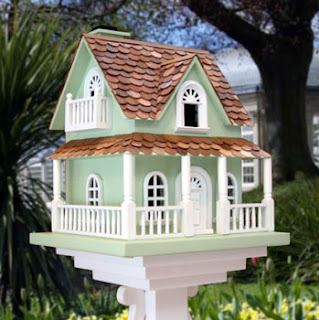 Bird houses add detail and design into yards and gardens for spring. You can add a splash of color and beauty while welcoming birds to new warm, safe, and decorative homes. 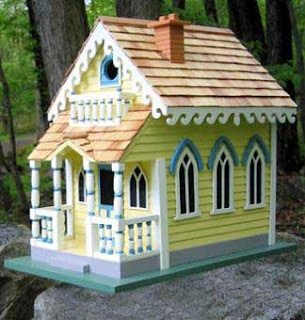 Bird houses come in different sizes, shapes, and styles so every taste can be met. 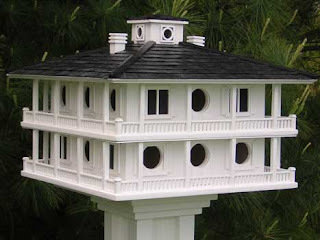 Larger houses are available for multiple birds like purple martins, along with smaller houses for wrens. From wooden bird houses and nesting houses to decorative bird houses and houses made from recycled wood, the choices of homes you can provide is plentiful. 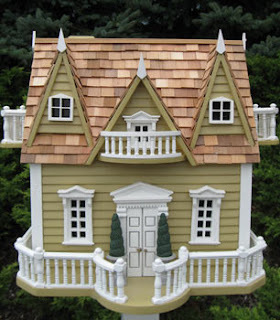 For a nice decorative appeal, Gingerbread bird houses and Medieval Castle houses have unique and eye catching looks. Churches and large estate homes are also a great way to attract the attention from guests and birds alike. Hadley Park birdhouses take up a small space along with wren houses and Fairy Cottages. So whether you plan to put one bird house or five in your yard and garden, there are sizes and styles for every possible area of placement. 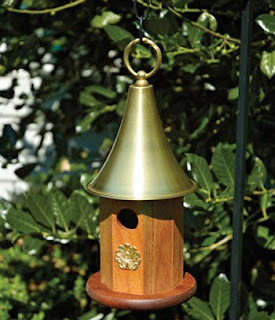 Bird houses make great gifts and are a beautiful accent to yards year round. With Spring right around the corner, it's the perfect time to start sprucing up the yard as birds are looking for homes to breed and start their families. Most birds return to the same spots they nest year after year, so you'll never have to worry about the houses going to waste, as your backyard birds will return to see you again. Decorating your outdoors couldn't be easier than placing a few bird houses around your garden and decks, also allowing nature to show itself to you daily. Birding is an enjoyable activity the whole family can take part in, and starting is as easy as placing houses for birds to nest and live in your yard. From there you can watch and learn as different breeds of birds come by and start to flourish in your view. Bird houses create an inviting environment where birds feel safe and can withstand the weather. 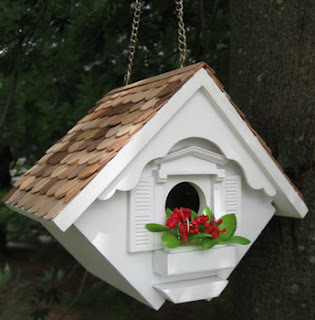 You provide shelter to birds as you also create a lovely piece of decor to your garden. Invite nature to thrive around with you while adding glam to your landscape. "Birding is an enjoyable activity the whole family can take part in, and starting is as easy as placing houses for birds to nest and live in your yard." I love purple martins and have had them in my yard since I was 10 years old. Today I have a wren house on my back deck. Enjoyed your articles.